Freddy has to have 'natural' food and treats because of his allergies so I was pleased to see the treats in this are all healthy and Freddy-friendly! 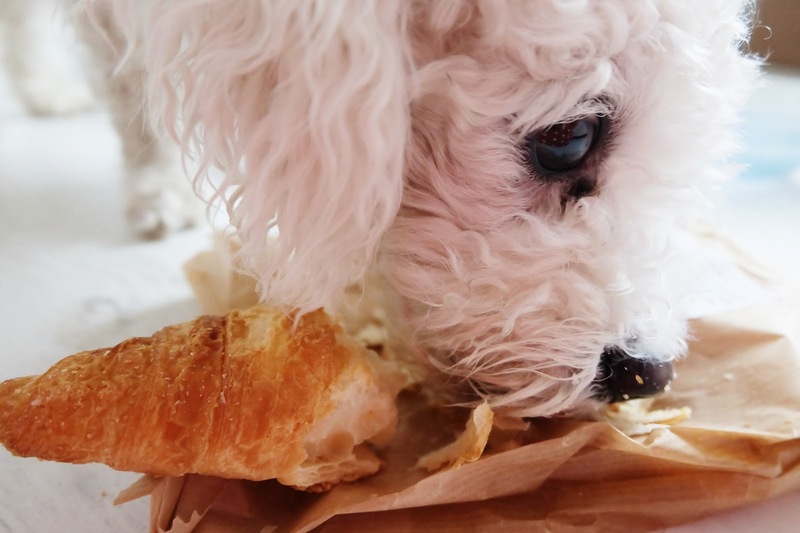 As you can see he especially loved the croissant - he's lucky I love him because he got crumbs everywhere. He loves the Humunga Stache Toy too which is why I don't have a pic of it as he nabbed it straight away! Or rather he did love it, we were playing fetch and it hit the back of his head by accident. He doesn't seem to want to play with it any more - sorry Fredster! If you fancy treating your doggy you just pick a size that's right for them (Freddy is a lil' dawg so he got a small) and then choose from a 1, 6 or 12 month subscription plan. Shipping is included in the price and the best thing is 10% of the profits goes to doggy charities so you can treat your own pup as well as helping out other pooches in need! Freddy hits the big 1-0 in January so I think this will be a nice present for him or maybe for Christmas (don't tell me I'm the only one who buys their pet presents for bdays and Christmas?) 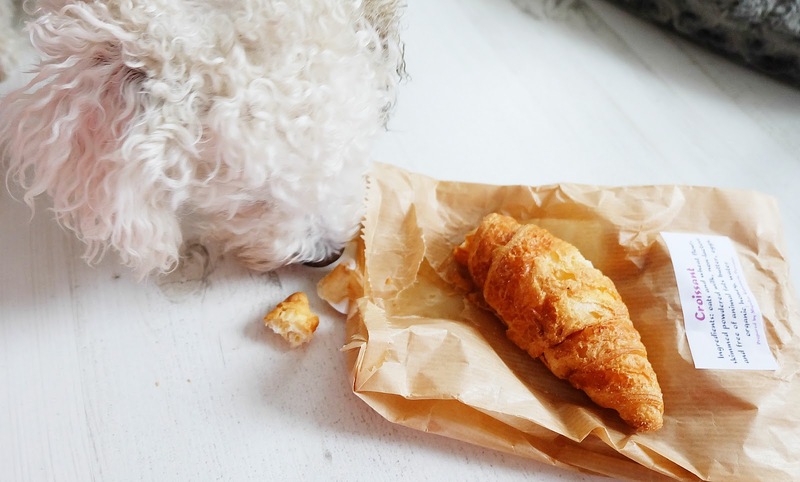 If you want to get one for your dog you can use the code JOSIE5 to get £5 off your first box. 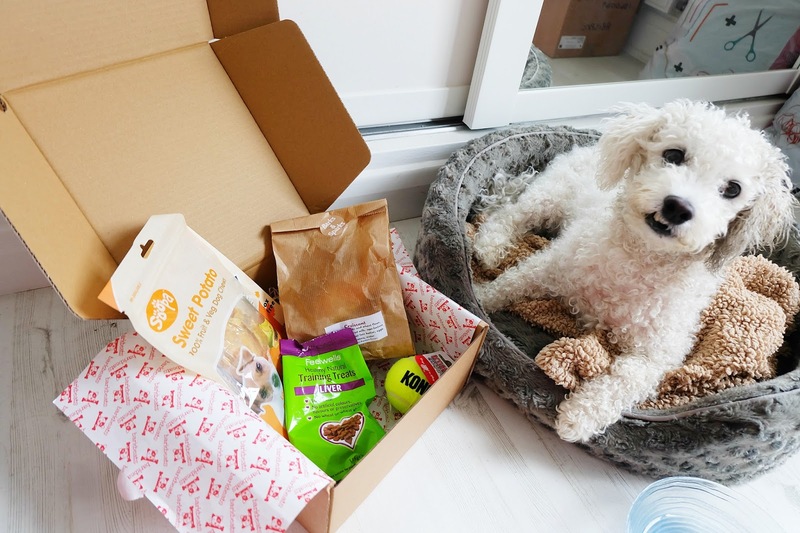 What do you think of a subscription box for pets? I feel like non-pet people will think it's insane but as a crazy dog lady I think it's a fab idea!